Just ask the Google Assistant to book a ride for you and it will give you options from Uber, Ola and other radio cab companies. Google Assistant in India now supports ride hailing services Uber and Ola. 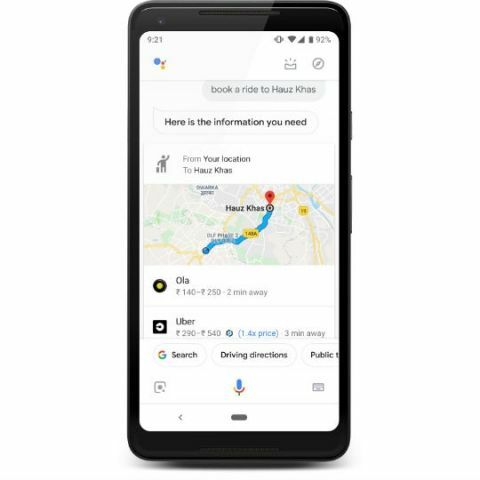 The Assistant can be used to book rides using voice commands such as “Hey Google, book a ride to the Bluebird Cafe” or “Hey Google, get me a taxi to Indira Gandhi International Airport.” Users will then see ride options from Uber, Ola and many more along with more information on estimated pricing and wait times from each service. If you only want to book a ride from a particular cab hailing service, then all you need to do is include the name of the said service in your voice command. Once you decide the cab you want to hire, you can tap on the option of your choice, which will in turn open the corresponding app of the ride hailing company to complete the booking. “The feature will be available first in English and any country where one of our supported ride service partners operate. We plan to expand to more languages in the coming months,” Google announced through a blog post.